Fenerbahce BEKO was the best team of the regular season and in the Turkish Airlines EuroLeague playoffs against the feisty underdog called Zalgiris Kaunas, Zeljko Obradovic expects from his players to be ready for a fight. 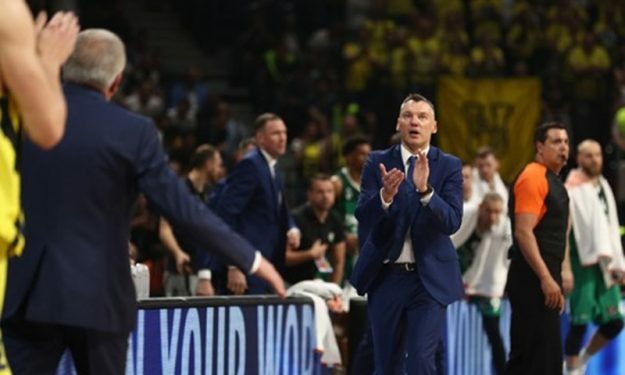 On the other hand, coach Sarunas Jasikevicius, who played under Obradovic in Panathinaikos, wants his team to be focused on details: “Fenerbahce is practically the same team that has been there for a couple years now. They’ve got the same coach and they play beautifully, since they understand the system and have a good feeling for one another. That’s a factor that worries everyone. Competing in playoffs is a whole new stage now, the importance of every loose ball, every detail is much bigger now. They’re very disciplined, very experienced. We can’t give away presents – bad fouls, easy points, because we know they won’t be giving it up easily for us. The team was built for this stage of the season. And it’s important that we understand the importance of every detail”.